Did you know that Cleopatra came to the throne at the age of 18? After years of living in extravagant affluence, it's no wonder she had such high standards. Live out your Halloween night in complete luxury! 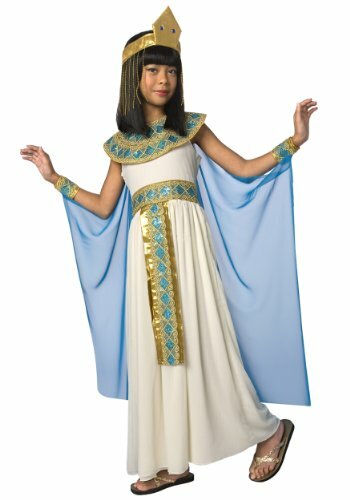 Channel the Ancient Egypt Pharaoh Queen with the smashing Palamon Cleopatra Costume. 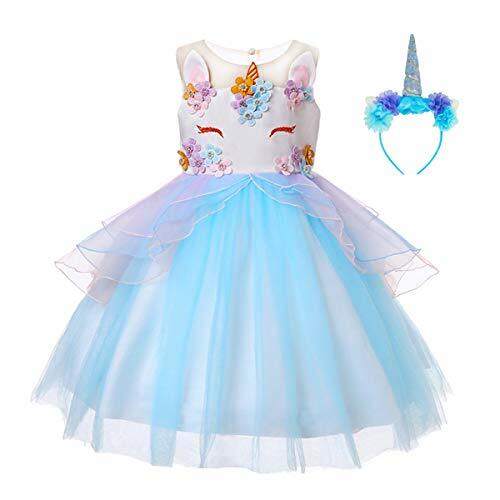 Included in the set is an Egyptian-style white dress, gold and blue collar with attached cape, belt, wrist cuffs, and highly detailed gold crown style headpiece. Garment materials soft Polyester, exclusive of trims and decorations and all accessories in durable plastic. 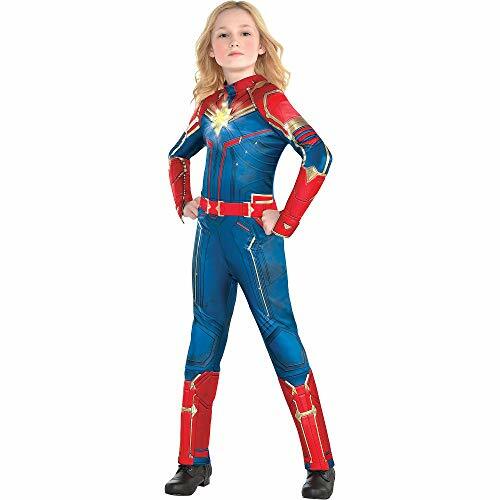 The Toy Island Palamon Costumes pass all USA and European Global Toy and Garment Standards and remain fully compliant with International safety quality assurance. 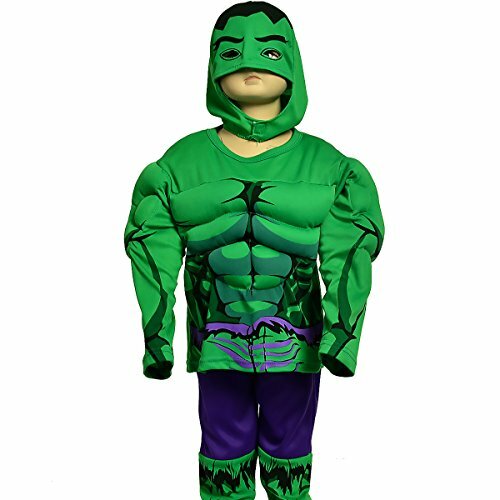 Look your very best in the coolest fancy dress with Palamon Costumes. Brimming with patriotic glee and as pretty as can be. 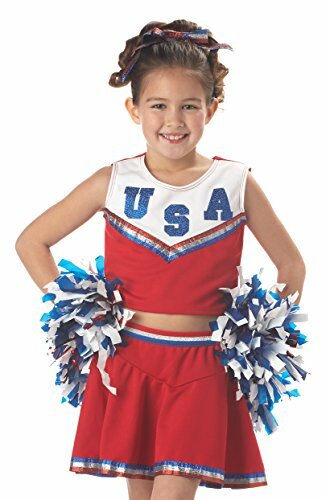 The Patriotic Cheerleader is a two piece top and skirt with red white and blue glitter trim. Includes pom poms (2). Hair ribbon and shoes not included. 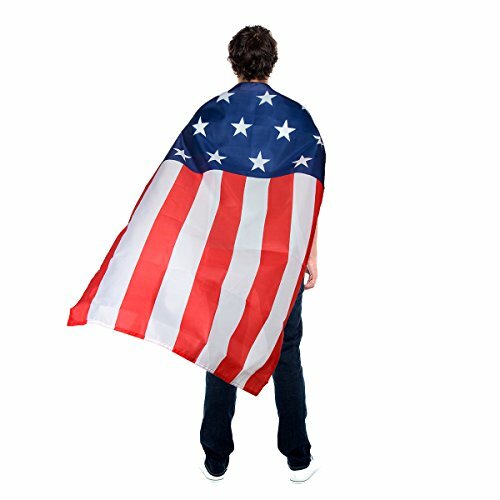 Show off your patriotism with this Stars & Stripes American Flag Cape! It's good for adults & kids, and perfect for any occasion, such as Independence Day (the Fourth of July), Labor Day, Memorial Day, Flag Day, President's Day, and even Halloween Costume. Be a true patriot this Halloween with the Child Uncle Sam Costume. This costume comes with a red, white, and blue ensemble that includes a jacket and matching hat. The jacket is long sleeves in a vibrant blue satin. The lapels of the jacket are satin and come in a red and white striped print. The attached shirt comes in white to match the buttons on the jacket. Red and white vertically-striped pants run to the ankles. Also included, is a bow tie is accompanied with clip-on and complements the white shirt collar. This is one well designed Uncle Sam Costume! Trick & Treating Halloween Costume Watch! Mickey's Not So Scary Halloween Party!